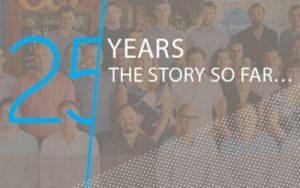 We have the honour of working with some great consultants and we were delighted to celebrate the 25th years ‘So Far’ of Bligh Tanner. As always they did it in style on the Rooftop terrace of GOMA. The view and atmosphere was superb and it was topped off with release of a publication titled ’The Story So Far’. We look forward to continuing to work with the team at Bligh Tanner and congratulate them on a wonderful 25 years! Reddog Professional Design Practice, Specialising in Architectire, Interior Design, Project Management, Brisbane QLD, Commercial, Renovation, Architecture.